Cesar Garcia, P.S, Singh, V, Jain, R, Sebe, N, & Oliver, N. (2018). 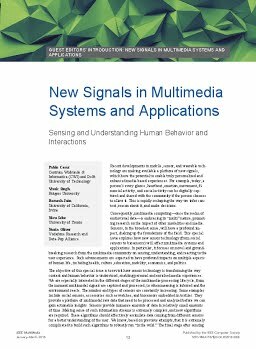 New Signals in Multimedia Systems and Applications. IEEE MultiMedia, 25(1), 12–13.